Edinburgh has plenty of fantastic, independent lunch places where you can grab a delicious sandwich or salad, but sometimes we all want something a little different and that's where Go Ninja comes in. 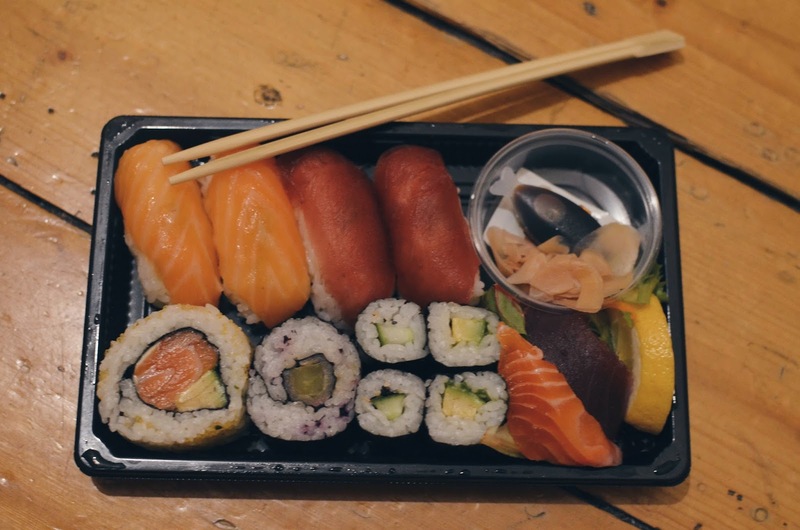 Located so close to Haymarket, it's ideal for grabbing a quick sushi box on your work break or before grabbing the train home. Go Ninja is a grab-and-go take-away sushi shop. 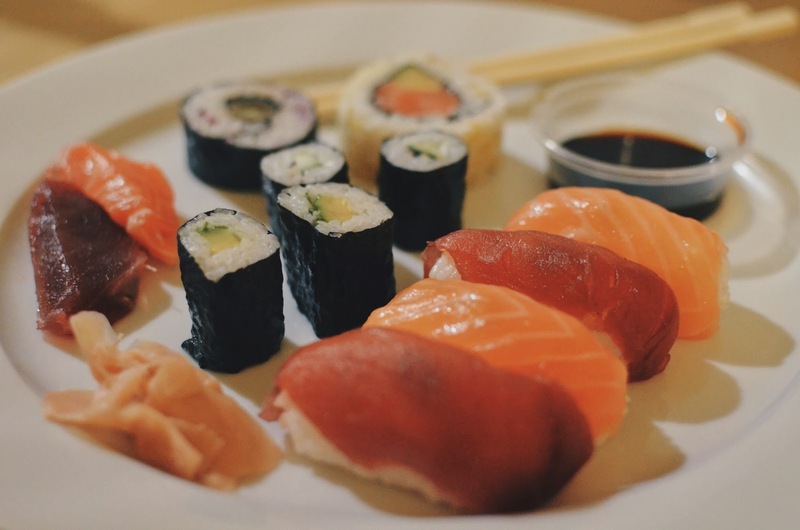 Styled similarly to your standard sandwich shops or delis, you'll find a selection of sushi ready to take away in their fridges. As their sushi is ready made, there's no waiting around for your food, ideal for a quick lunch on a work break. Of course, if you don't see what you like in the fridge, they have a menu that you can pick items out from and they'll make them fresh for you. That's not to say that the food in the fridge isn't fresh, Go Ninja make their sushi fresh every day and you can really tell the difference (this is definitely no supermarket sushi). Go Ninja's menu has a variety of sushi that will suit all tastes and hunger levels. There are large and medium boxes filled with sushi ideal for fish lovers, meat lovers, veggies and even vegans! They also have salad boxes, onigiri, temaki (hand rolls), noodle pots and of course miso soup. They even have sushi burritos – that's right, sushi burritos! I'm definitely eager to try one of these out on my next visit. To go alongside your food they have a variety of interesting Japanese drinks and snacks. As someone who has Japan at the very top of their 'to visit next' list, I loved this added touch. I tried out the classic large box which features salmon and yellowfin tuna nigiri, a salmon yuzu roll, a spicy tuna roll, avocado maki, cucumber maki, and finally some salmon and yellowfin sashimi. This one is great if you're feeling hungry and like a bit of variety as there's a little bit of everything. The salmon and tuna were delicious and still tasted fresh despite the fact that I picked this box out from the fridge and it was about 6pm. I love a bit of variety with my sushi as I'm pretty greedy and don't like to choose one type of roll or fish, so this box was ideal for me. If you're working near the Haymarket area and need lunch or you're looking to grab a quick dinner for the way home, Go Ninja is a great option. Step away from those drab sandwich chains and supermarket sushi because there's a better, fresher option now! It's definitely going to be my go-to for train food from now on, that's for sure. What I appreciated most was the variety including fun options like the sushi burrito and they cater for vegetarian and vegan. Check out Go Ninja on Facebook and on their website to see the menu for yourself.